Secretary of State responds to abrupt resignation of Iranian Foreign Minister, says Iran "must behave like a normal country". US Secretary of State Mike Pompeo responded on Monday night to the abrupt resignation of Iranian Foreign Minister Mohamad Javad Zarif, making clear that the US position on Iran remains unchanged. “We note Zarif’s resignation. We’ll see if it sticks. Either way, he and [Iranian President] Hassan Rouhani are just front men for a corrupt religious mafia. We know [Supreme Leader Ayatollah] Khamenei makes all final decisions. 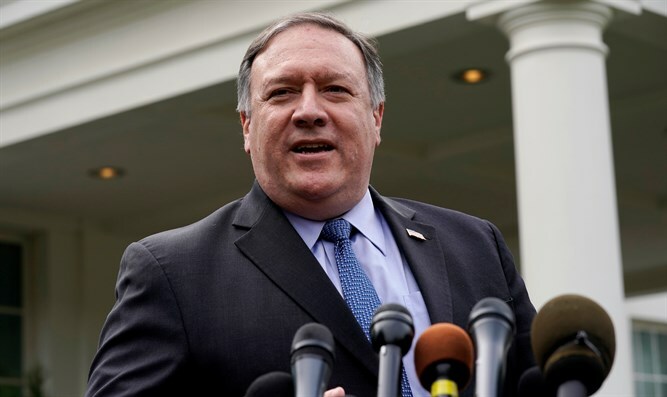 Our policy is unchanged—the regime must behave like a normal country and respect its people,” Pompeo wrote on Twitter. Zarif earlier on Monday announced his resignation in a post on Instagram. "I apologize for my inability to continue serving and for all the shortcomings during my term in office," wrote Zarif, who was the lead negotiator in the 2015 nuclear deal between Iran and world powers. Zarif thanked Iranians and "respected officials" for their support "in the last 67 months". The resignation can only take effect once President Hassan Rouhani accepts it, noted AFP. Zarif has been critical of the US ever since President Donald Trump decided to withdraw from the 2015 nuclear deal and reimpose sanctions on Iran. Last month, Zarif responded after Pompeo warned Iran to cease its efforts to develop ballistic missiles and demanded that it drop its plans for a space launch, saying such actions violated UN Security Council Resolution 2231, which enshrined Iran’s 2015 nuclear deal. Earlier this month, the Iranian Foreign Minister suggested on Twitter that the United States and Israel should leave Earth, in a mocking post that came as the two countries’ withdrawal from UNESCO, the UN’s cultural agency, went into effect. And, more recently, Zarif mocked US national security adviser John Bolton using a play on the “10-year challenge”, following a report that Bolton asked the Pentagon to provide the White House with military options to strike Iran. “Same bull. Same bully. Same delusion,” he wrote.